Last week was a little warmer and then little colder, and then it snowed…again. I had a root canal on Wednesday which instead of being the nightmare I was expecting, dispelled all of the tooth pain I have been having. Now I just need to drink lots of water to cleanse my pain killer abused liver. I made two bracelets of similar beads and the pictures above are of one of them. I ordered some new beads and I am super excited to get them, I nearly bounce out the door to greet the mail lady when I am expecting beads in the post! Will they come today? I wonder. The colour of the week was orange which was another hard one to find, check out Andrea and Xanthe‘s blogs for some fab colour inspirations. I did find a cool old truck which is parked locally, so I stalked it and got a couple of photos. The flower is actually pink, but it turned orange in front of the sun. In the snow yesterday we ventured out to a couple of local antique malls, Green Shag Antiques and Quintessential Antiques and I spotted lots of orange. I bought the bracelet, but left the rest. The top photo is from Saturday when we caught the first yard sale of the season. Mr Y picked a giant car (!) and I got a bag of beaded jewellery to chop up and upcycle into some other jewels. On the way home, we spotted this vintage Samsonite travel case by the side of the road. We checked inside to make sure there were no body parts or money or diamonds (none of the above found) and rescued it. It is a lovely marbled green colour with white fabric lining inside. What a score! Just shows, always keep your eyes open, you never know what treasure is waiting to be rescued. 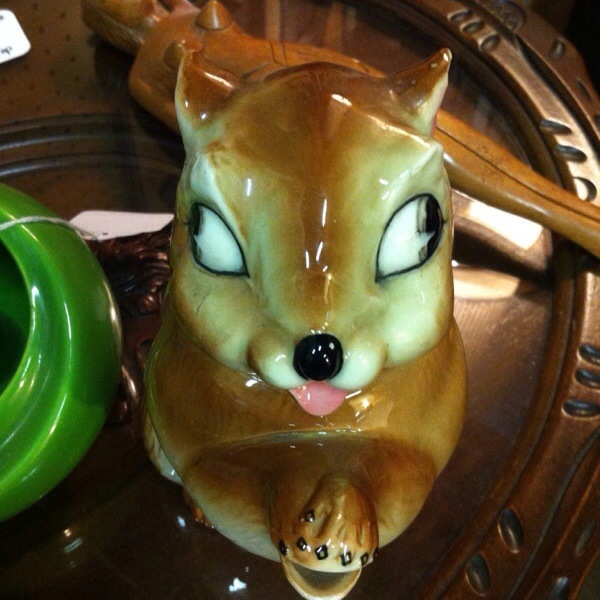 The rest of the photos are from in and around the antique shops we visited, I cracked up at the crazy squirrel! The aqua building is one I have admired for ages, but it is on a busy road, so not easy to get a photo of. The shops were just across the road and the snow made it very quiet, so not much traffic. 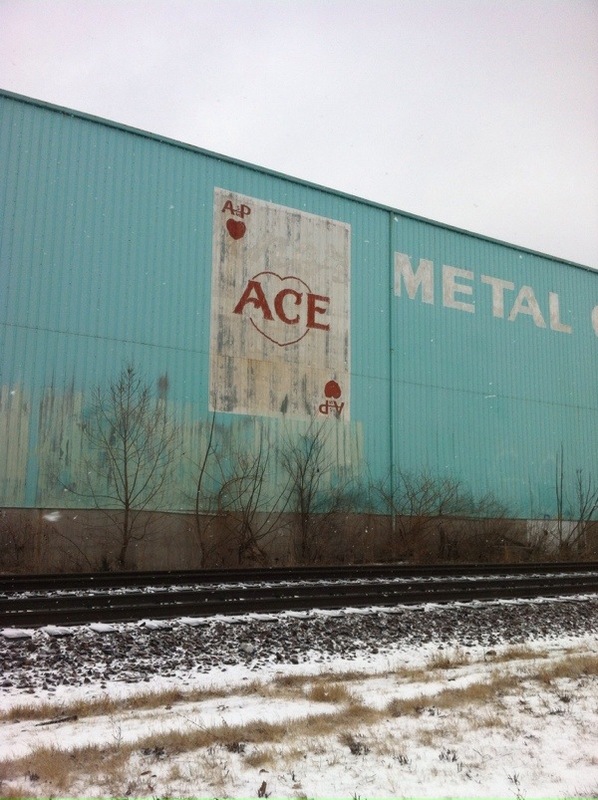 I skipped across the road and got some photos of Ace Metals! 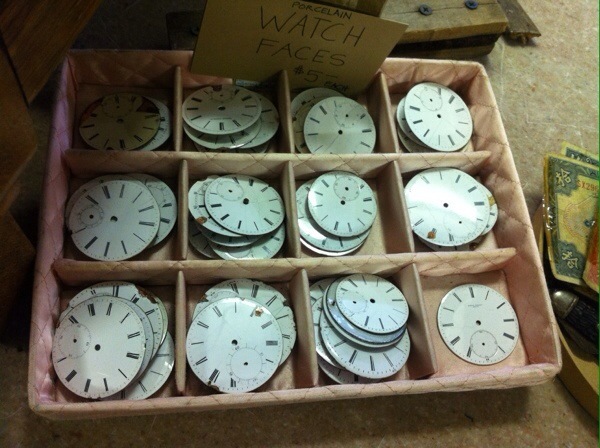 These watch faces were very cool, but I am not sure how I would use them. 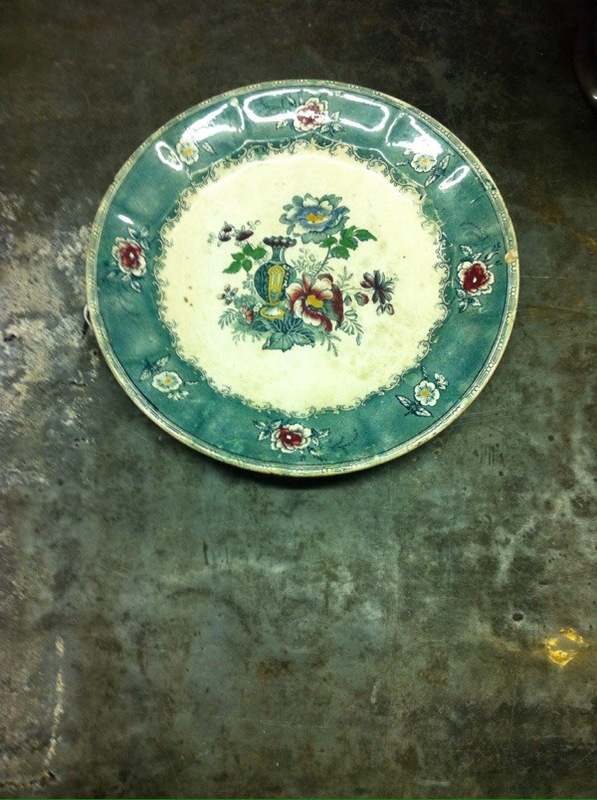 The blue plate was a beauty and I would love a whole crockery set of mismatched vintage pieces, although this one is a bit too crackled to actually use I think. Pretty though. 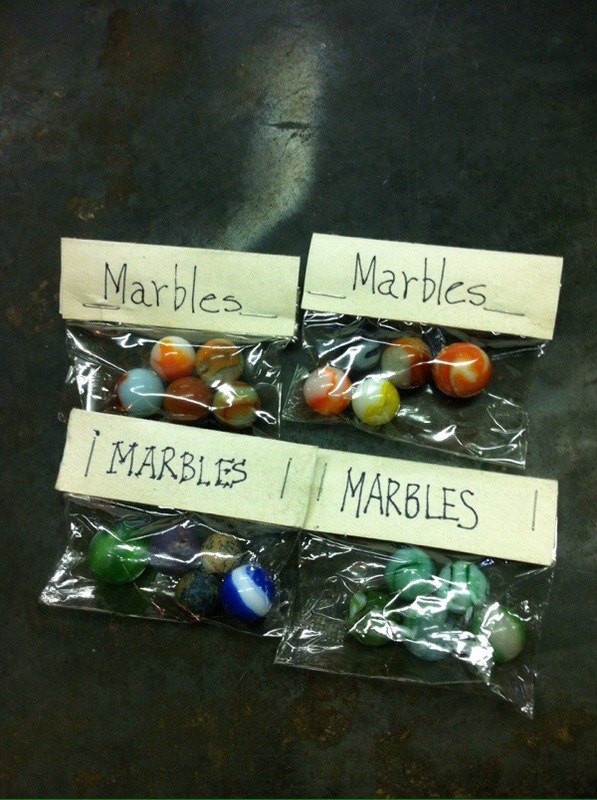 Marbles, marbles and more marbles, I like how these were packed up with a hand written label. The boys chose a pack of marbles each, but I managed to resist. 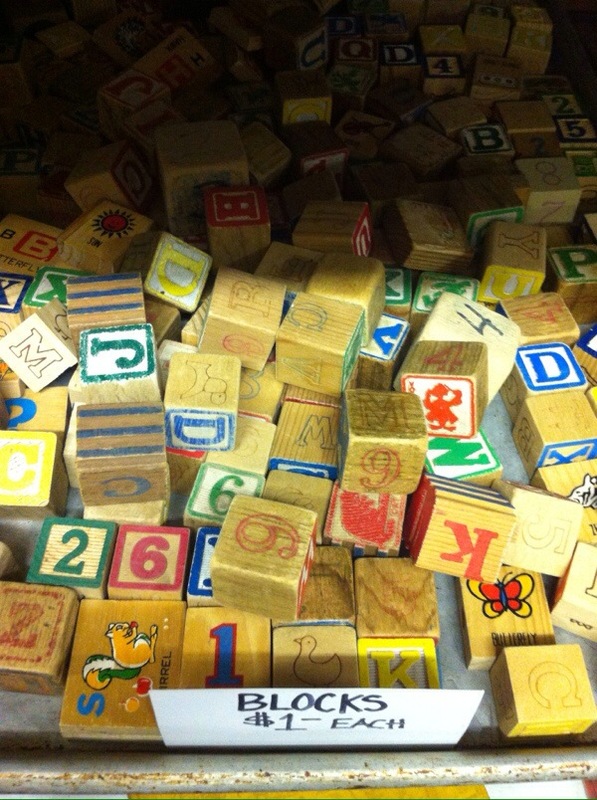 A giant box of vintage blocks, so cool, but you would have to buy the whole lot! I hope you had a lovely week and are looking forward to this one. We have a snow day today, so we are all inside hiding from the cold. This looks like my kind of weekend…discovering lots of colourful gems! Wow, wish I’d been there and I love the suitcase you’re carrying! 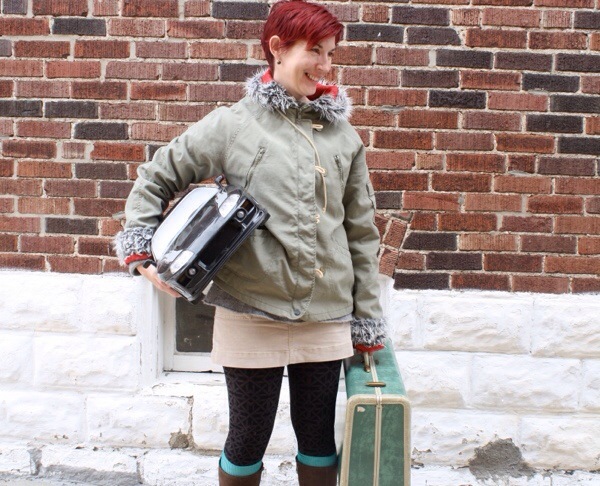 Love that suitcase – score!